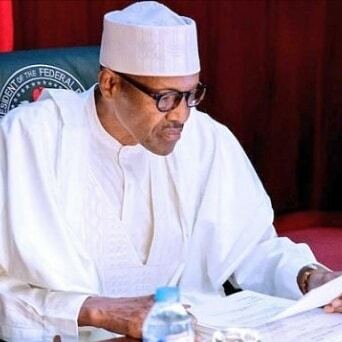 President Muhammadu Buhari has finally reacted to the letter by former President Olusegun Obasanjo disparaging his administration. Obasanjo, in the letter, had cautioned Buhari against seeking re-election, saying his government had failed Nigerians. In a swift reaction, Buhari’s spokesperson, Femi Adesina, had said the president had ordered his aides against responding to Obasanjo’s letter. But, speaking during a state banquet in his honour on Thursday night in Bauchi, the President said he initially stopped the Minister of Information, Lai Mohammed from responding but later allowed the Minister to react. According to Buhari, “Tonight, I want to remind you people of what Lai Mohammed did when a letter was written on our failure as an administration. Lai Mohammed was agitated about replying but I said no. “I said no for two reasons: one, he is much younger than the person who wrote the letter and myself; two, he is from the same constituency as the person who wrote the letter. “But when Mohammed came again, I said he should go out but he said he won’t go. I asked why and he said let me give him a chance to say what he wanted, then I said go on. “He said in what he would do, he would not mention names but only try to remind Nigerians what the country was when we came in, where we are now, and what we have done with the resources available to us.